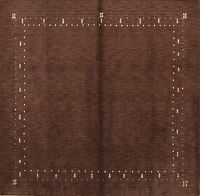 The traditional Gabbeh Persian carpet – known as gava in Kurdish and Luri and called khersak in Bakhtiari – is a simple, hand-woven pile rug traditionally made by the nomadic Qashqai tribes who dwelled in the Zagros Mountains of southern Iran, near the city of Shiraz. 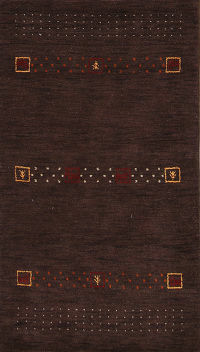 Other tribes, such as the Lurs, the Kurds and the Bahktiari also weave these carpets. 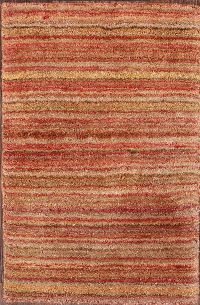 In Persian, the word “Gabbeh” means “fringe” or “in the rough.” Gabbeh rugs are rough cut and long piled rugs of rich color and the best quality wool. 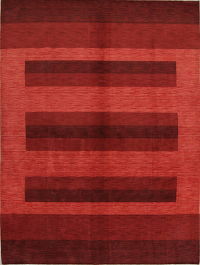 Most Gabbeh carpets are medium size – up to 3’ x 5’ – and feature abstract designs where shapes and color dance playfully with one another. The 19th century gabbeh rugs were very coarsely knotted (40kpi or less), often with shaggy pile. 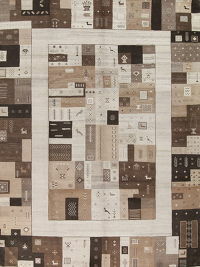 The name of Gholam Reza Zollanvari is synonymous with modern Gabbeh rugs. 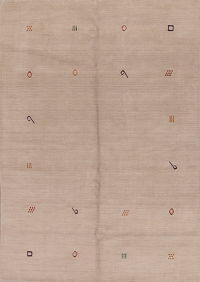 Zollanvari learned the rug business from his grandfather, a merchant in the Shirazi rug bazaar. 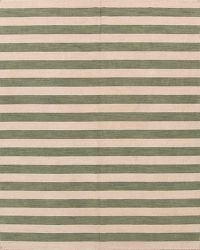 Zollanvari pioneered the construction of fine-weave gabbehs with knot counts of 200+ kpi. Today, Zollanvari rugs are among the most popular styles of Persian rugs. Most Gabbeh carpets are made by women, and many are one-of-a-kind works of art. Some patterns are passed down thru the generations as mothers and grandmothers teach their daughters the art of Persian rug making. 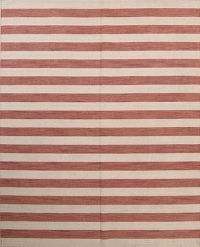 Many patterns reflect the weaver’s observations of the environments through which the tribe has passed. 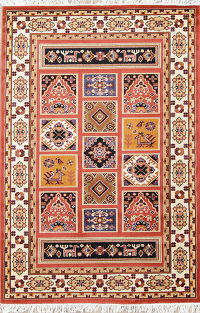 Some rugs are even made by the hands of many weavers. 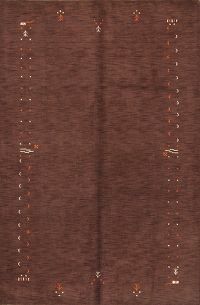 Traditional Gabbeh rugs were woven on makeshift ground looms. These looms are built with materials are carried long distances by the nomadic tribes, or materials found where the tribe settled. 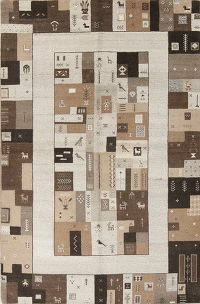 Since each loom is unique, each rug is unique; this is how Gabbeh rugs get their distinctive irregular in shape. 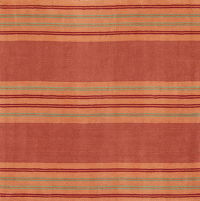 Gabbeh rugs are woven from high quality wool from the tribe’s own sheep. As the tribe herds its sheep over hundreds of miles, the nomads reach high altitudes. In the summers, they stay in the highland pastures north of Shiraz in the Zargos Mountains; by winter they sojourn to pasture lands near the Persian Gulf. Sheep grazed in high altitudes produce more lanolin, giving their wool a luxurious softness and resistance to stain. 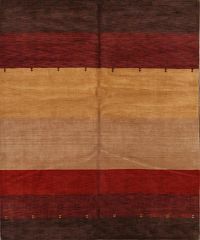 The Qashqai people find the dyes used in Gabbeh carpets or purchase them in towns where they trade their finished carpets. Often, they use all-natural vegetable dyes to give the wool vibrant color while retaining its lanolin. Most of the wool used in the construction of Gabbeh rugs is handspun using a drop spindle. After the wool has been dyed and handspun, the weaver uses the loom to hand-knot the rug using Turkish symmetrical knots or Persian asymmetrical knots, or even a combination of the two. Because the all the Qashqai tribes use both types of knots, it is difficult to tell from which individual tribe any one rug has come from. 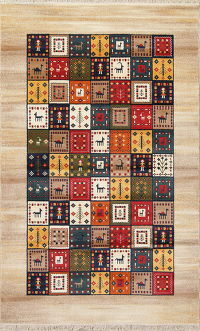 A typical size for a Gabbeh carpet is 3 feet by 5 feet. 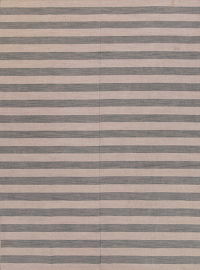 It can take 18 to 25 hours to weave even a small Gabbeh rug. 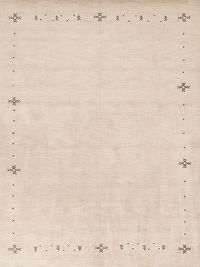 Tribal Gabbeh rugs usually have lower knot counts compared to other types of Persian carpet. 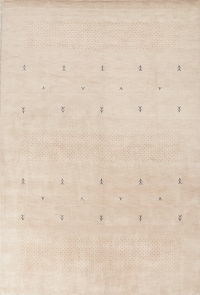 This low knot count and the high quality of wool makes Gabbeh rugs famous for their exceptional durability. 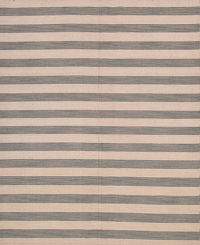 Gabbeh rugs are often floppy because they have wider rows of multiple wefts. 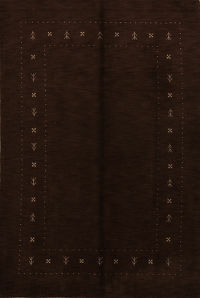 This made the soft, pliable rugs ideal as wraps or bedding to insulate against the bitter cold of the mountains. 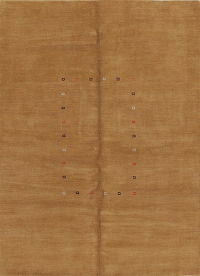 Gabbeh rugs are often not symmetrical due to the nomadic lifestyle of their creators, and color variations within a rug are common. Often, the variation in color in a rug tells a story of the tribe’s migration, the climates and environments it encountered, and the tribe members who contributed to its creation. 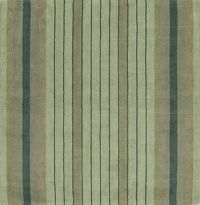 Unless you plan to travel to Iran to shop for Gabbeh rugs in the marketplace, we’d suggest buying a Gabbeh rug online from RugSource.com or visiting our showroom. We’re proud to bring these highly coveted rugs to you – please contact us if you’d like to know more.